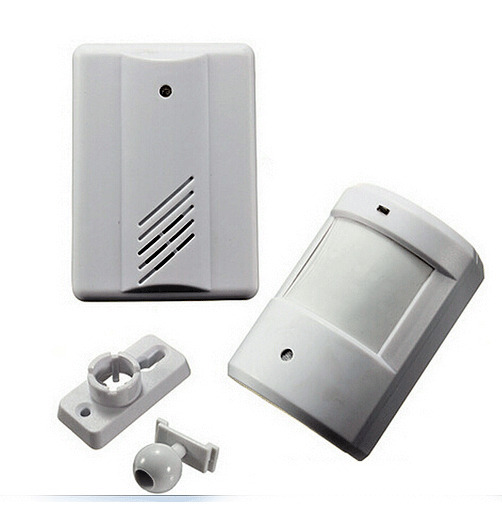 Here is smart alarm system with outdoor motion sensor/PIR whose wireless range is up to 200 meters. It can also be used as a doorbell or customer report. 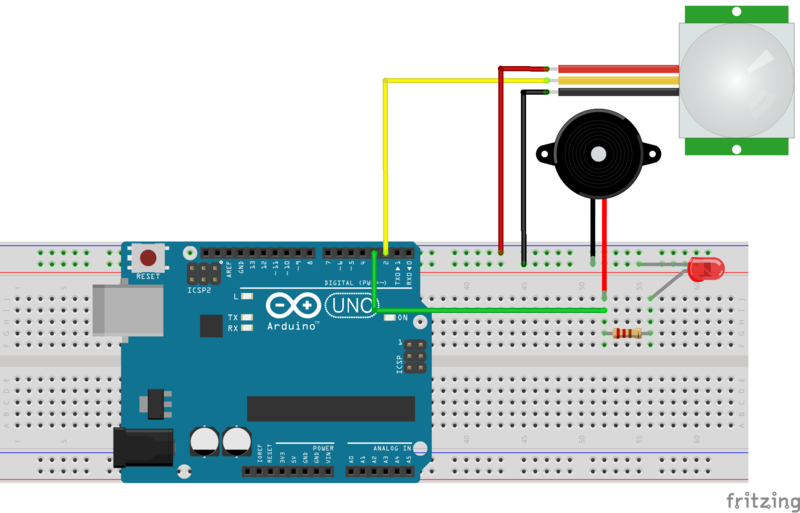 Wireless alarm system consisting of an 8 channel control panel wireless PIR (infrared motion sensor) with a typical range of 150-200 meters (by direct vision between transmitter and receiver). PIR is provided with a special rubber cap, which creates a very narrow detection range (ideal for outdoor installation in order to avoid false alarms from cats, dogs and foxes, when mounted low and in a horizontal position). The round opening in the rubber cap can easily be customized in size, to situations where the PIR is mounted in a more traditional, high ranking. 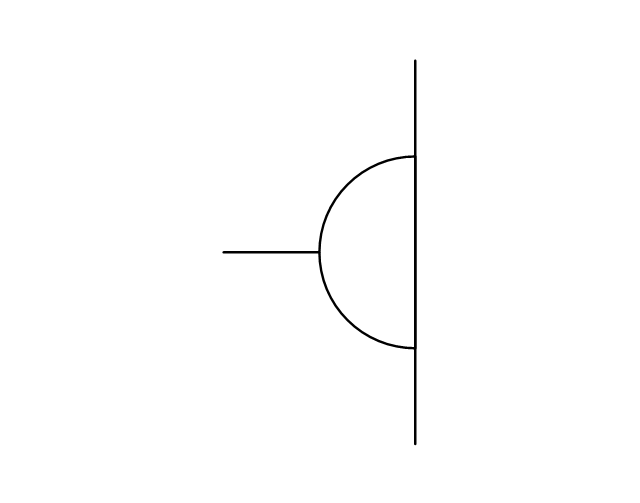 With extended opening PIR can detect movement up to 110 degrees angle and at a distance up to 15 meters. Rubber cap also makes the PIR suitable for outdoor mounting, but it can of course also be mounted indoors. There is a 3-minute built-in power-saving delay after activation, but this can be changed to 15 seconds for situations where it is more important than the battery life. 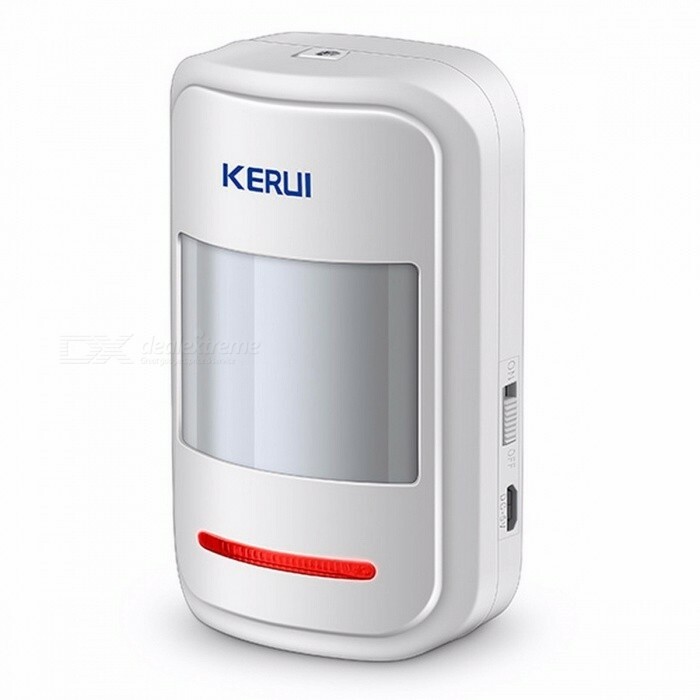 The battery in PIR is of type 9 volt and can operate for up to 6-18 months in most situations (depending on the number of activations), and has a built-in low-battery warning (a slowly flashing red LED on PIR), which allows for the timely replacement of the battery. -As a door chime (Ding-Dong sound that sounds once at the activation), followed by a green, flashing display. The control panel is powered by a 220 volt power supply and has battery backup that can take over if the power fails. 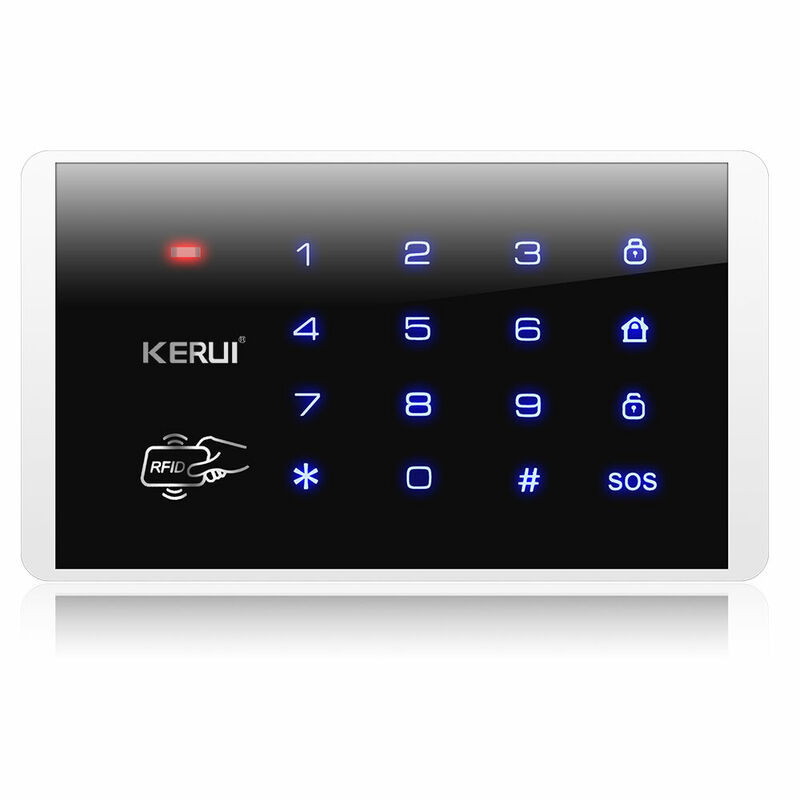 The control panel can also be used in conjunction with many other types of alarm sensors and sirens, which makes it a very versatile and scalable warning and alarm system. About 1 to 1.5 meters from the ground: with the hood mounted and with the default size of the opening and PIR directed horizontally across the Earth (this will avoid triggering alarm from animals such as cats, dogs and foxes). 3-5 meters from the ground: pointing down toward the ground (the angle can be adjusted in order to adapt to the application), with the hood mounted and with enhanced opening hole in the hood, in order to give a wider detection angle. Power supply: 9 V 0.5 amp output. Backup battery: 1 x PP3 (9 volt) battery. Operating time on backup battery is up to 6 hours. Unlimited number of alarm sensors. Size: 150 (w) x 95 (H) x 32 (D) mm. Built-in siren: Yes (130 decibels). Siren duration: Adjustable 1-6 minutes. Sabotage contact: Small wall-mounted magnet. Operating modes: 5 (Full reinforcement, reinforcement, disarmed, home alarm, panic). Detektionsvinkel: about 20 degrees (with hood) 110 degrees (without hood). Power supply: 1 x PP3 (9 volt) battery. Wireless range: up to 200 meters (with an unobstructed view to the RCD.). Power saver: Yes (if it is set to 3 minutes between activations). Low battery warning: Yes (flashing red led when the battery should be replaced). 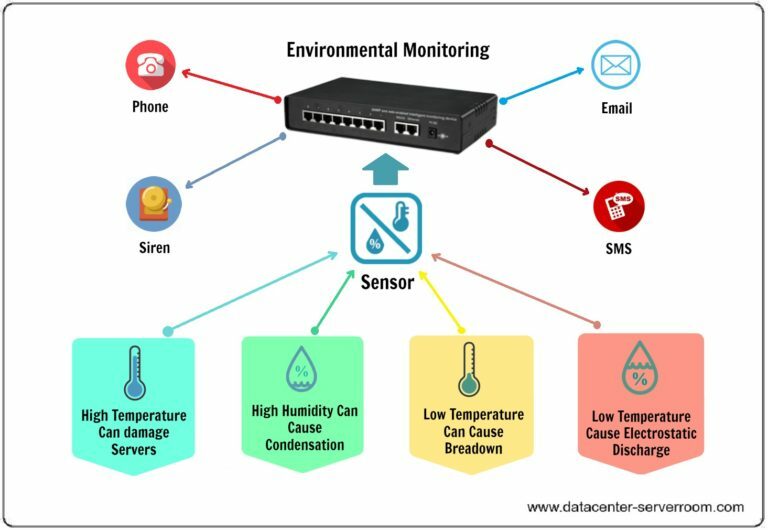 All PIR sensors detects changes in infrared radiation, in the form of heat emitted by a variety of organisms and objects, including people, cars and, to a lesser extent, dogs or other small animals. 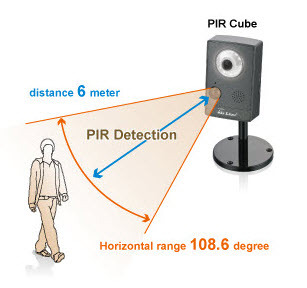 The bigger the body, the more infrared radiation radiated and easier it is for a PIR sensor to register. Imagine the camera footage on TV from a police helicopter, as successor of a suspect in the pitch black darkness. The cameras in the helicopter use infrared radiation to achieve night vision. The same technology is used when a soldier looking through a night-vision. It is exactly the same happens when a PIR sensor is in operation.